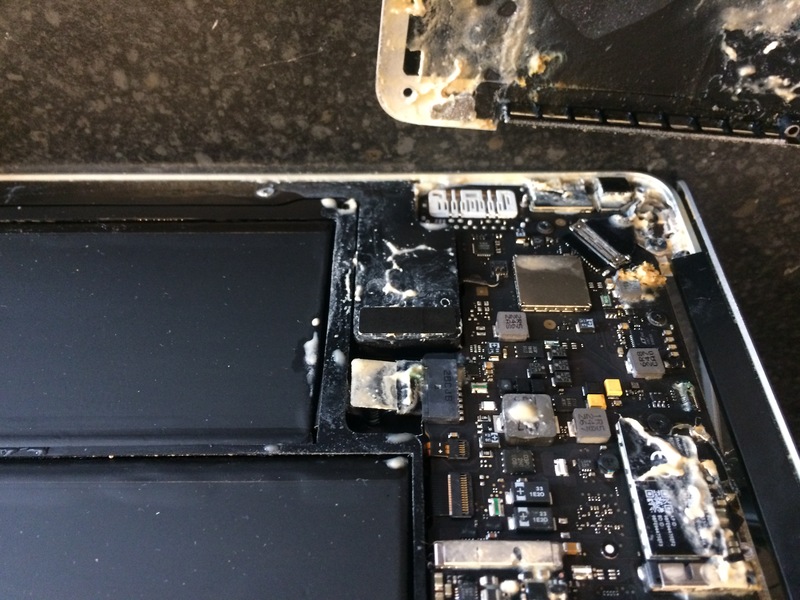 A customer phoned to ask what could be done for his iMac which was showing the spinning beach ball, so instead of being able to work smoothly it was a stuttering performance, stopping every other minute to all0w the hard drive to catch up, hardly a good situation. Later that morning he brought it round to our workshop and a couple of tests confirmed the hard drive was the problem which would require replacement. The customer opted for an SSD to be fitted and having read his review it seems he’s delighted by the outcome as its now super efficient. Plus he didn’t lose any data and he now owns a better than new iMac. 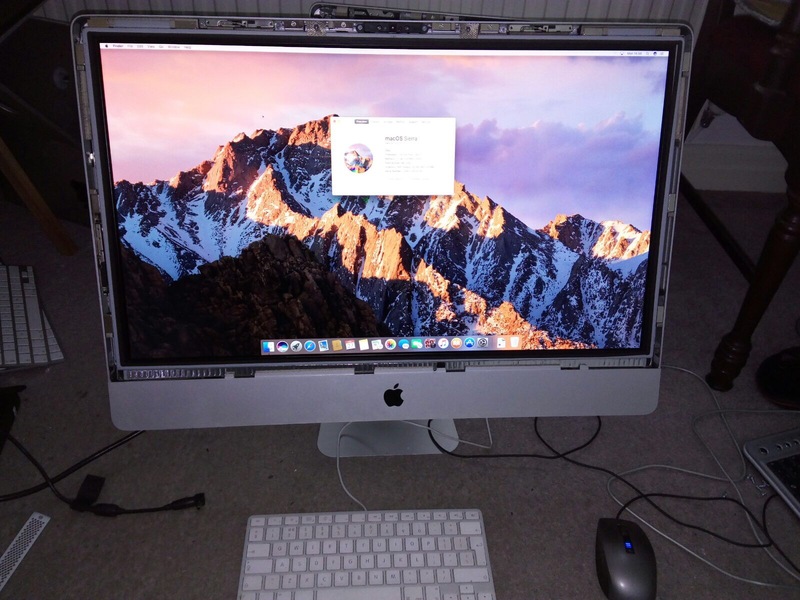 If your iMac or MacBook is having problems with the never ending spinning wheel or the flashing document folder /question mark that are just two common situations that spring to mind we can resolve them, but whatever the issue we’re up for the challenge. 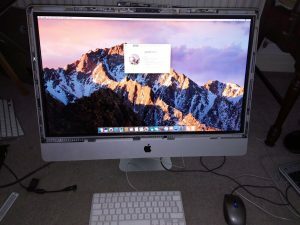 Screen replacements, liquid damage, hard drive recovery and replacement, Logic board repairs, GPU repairs, hard drive upgrades, PSU replacement, in fact too many to mention. While it’s here we could upgrade your Mac by replacing the original hard drive with an SSD. This significantly speeds your Mac up in terms of booting and opening applications. You’ll feel like you’ve just bought a new Mac! We will even clone your existing data to the new drive, so you don’t lose any photos etc in fact everything will be just where it was prior to the upgrade, just a whole lot faster. Generally you wont require more memory as the SSD will deliver a lot more power than you could imagine. Whether its an iMac or a MacBook the end result is superb. Give us a ring we’re two mins from J8 M62 near IKEA and M&S etc.